Left click on the icon and you see your connections, hopefully already detecting your wirless network. If you don’t see any wireless networks, click on “Show more“. Now select “Manage connections” before clicking on anything else. 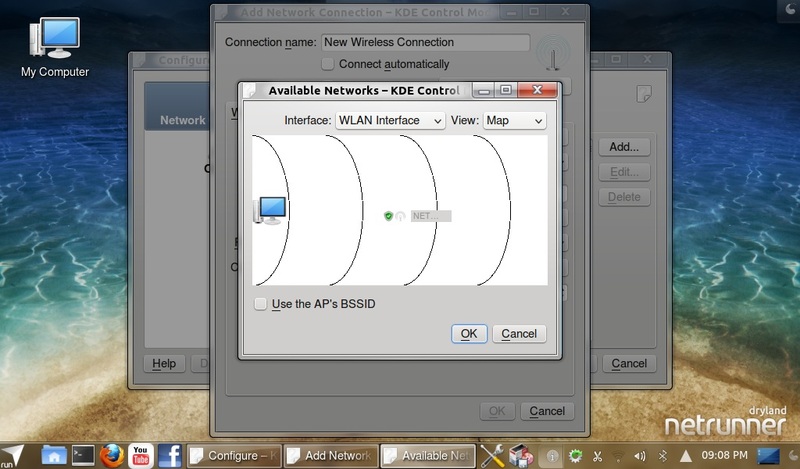 Select Network Connections on the left and then Wireless tab. If you do not see any connections, click on Add otherwise on Edit. 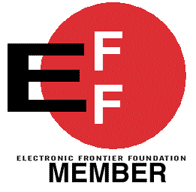 A New Wireless Connection will be created, so let’s add the SSID next by clicking on Scan. 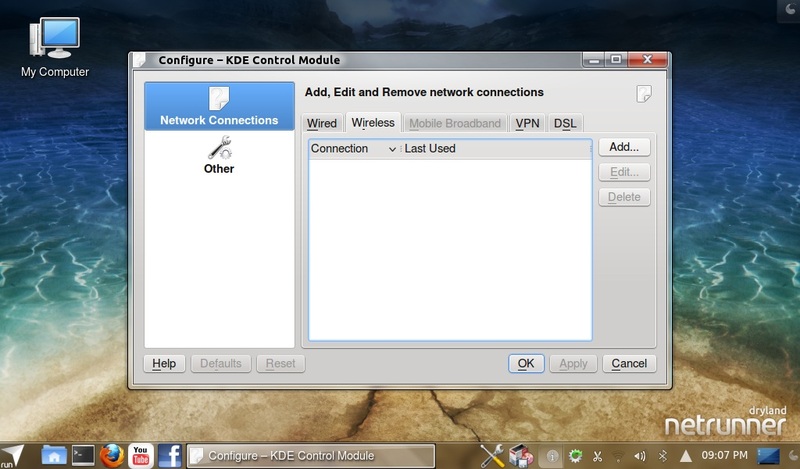 Select the network you like to connect to by clicking on it, then hit OK.
Now you need to choose the security of your network and enter the password for your network device. 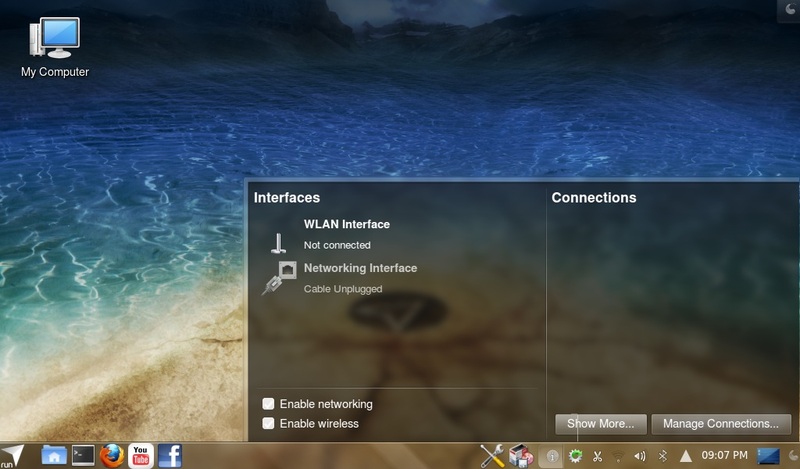 Now you can choose to connect automatically upon login by checking “Connect automatically” or just leave it unchecked. 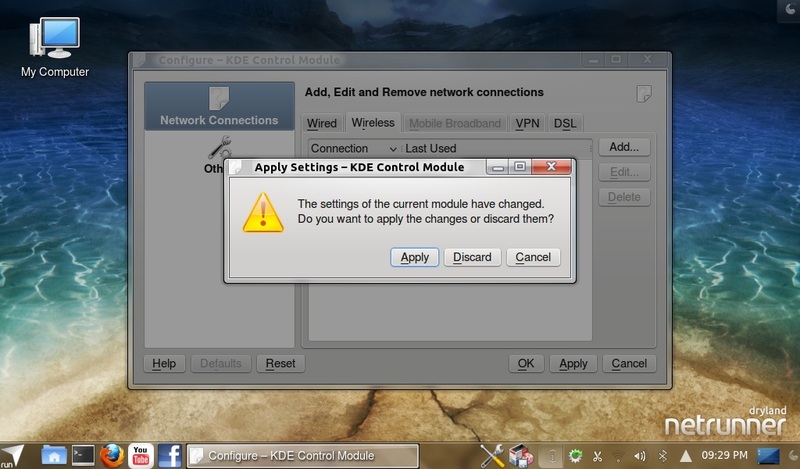 Leave the System connection option unchecked. 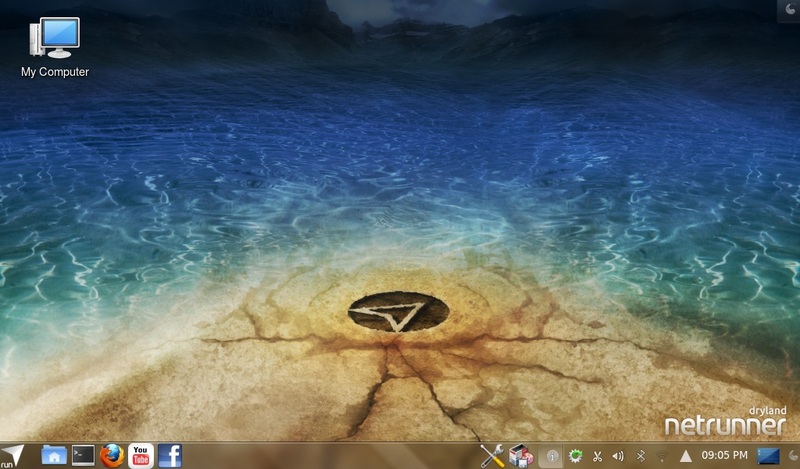 Hit OK button to close this window. KDE Wallet will pop-up immediatly and ask for permission to access your credentials and store them securely. then simply leave the passwords BLANK in both fields like shown above and simply click Create. Ignore the warning message that comes up. 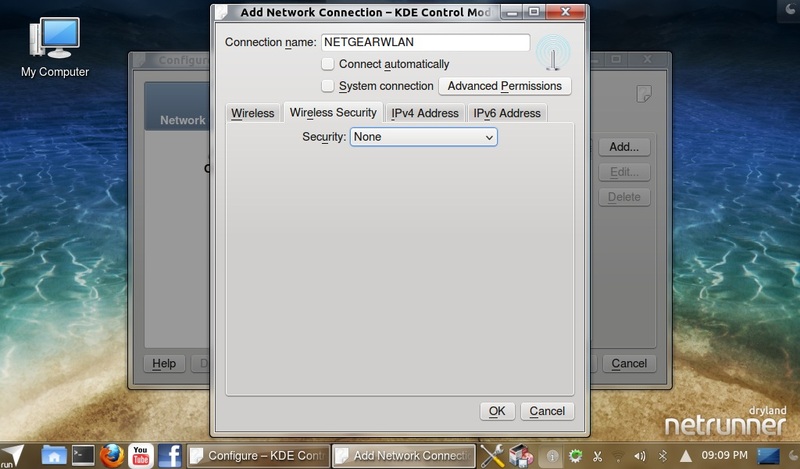 Now you should see all detected wireless networks and simply click on the one you configured before. 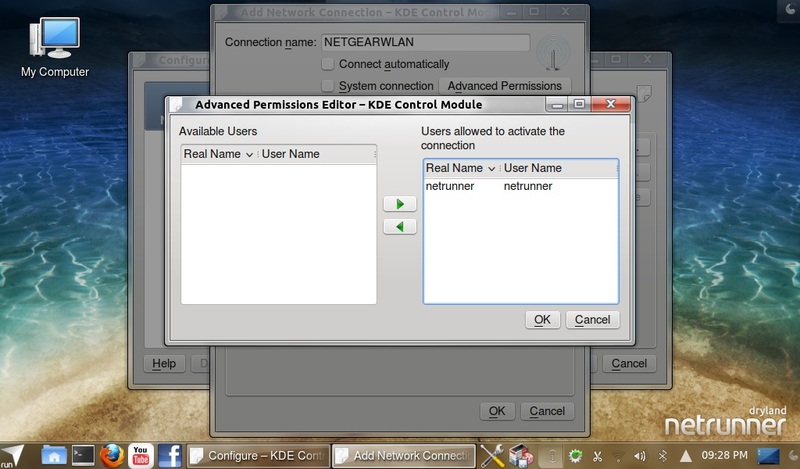 On the left you should see the status change to “connected” and in the taskbar will be a green arrow to acknowledge, then showing an activate radar symbol again.If KDE Wallet has not popped up before, it should then, so just follow the step from above and leave the password fields blank. 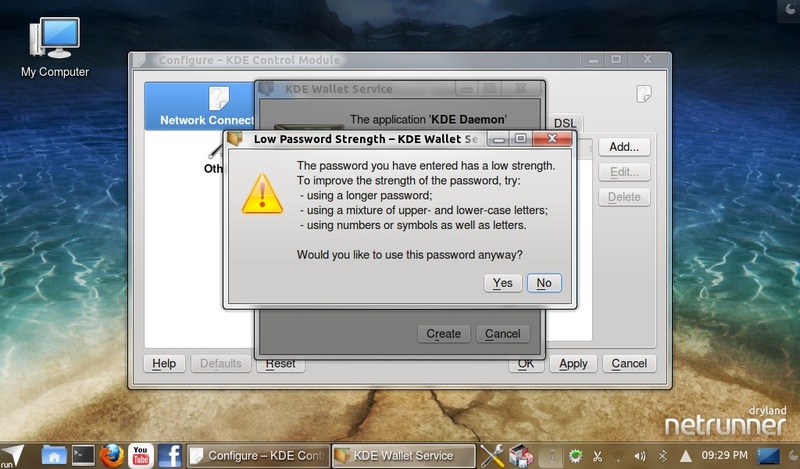 It could be that after your next login, KDE Wallet pops up one more time again and wants you to allow it access to the password. Simply choose “Always allow” and that should be it!